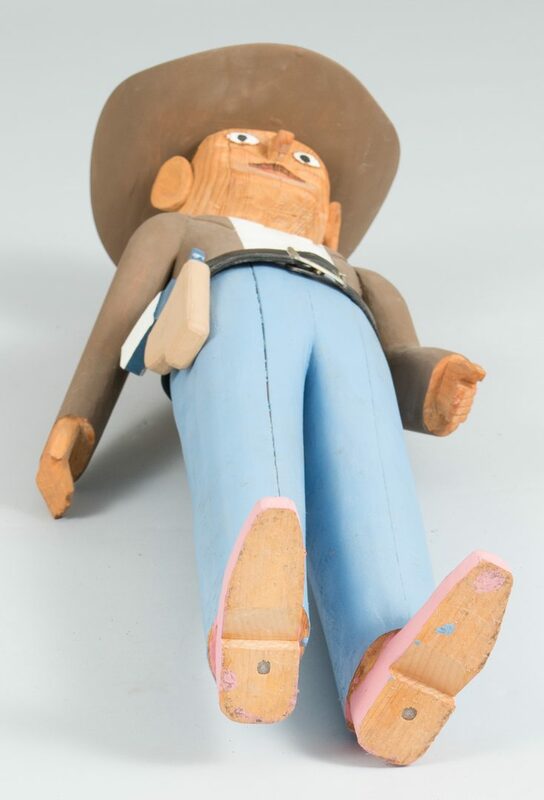 Sulton Rogers (Mississippi, 1922-2003) painted wood folk art carving of a cowboy with a faux leather and plastic belt. Unsigned. 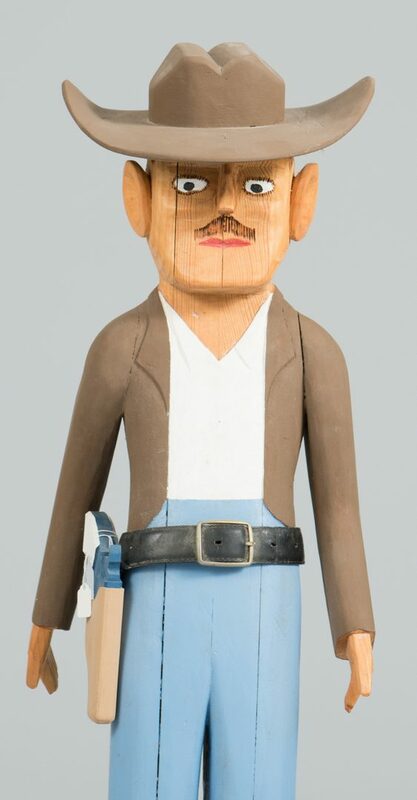 37 3/4" H x 12" W x 12 1/4" D. Late 20th century. Provenance: Property of the Arts Center of Cannon County, Tennessee. CONDITION: Brown spots, largest 1/4", scattered on surface of carving. 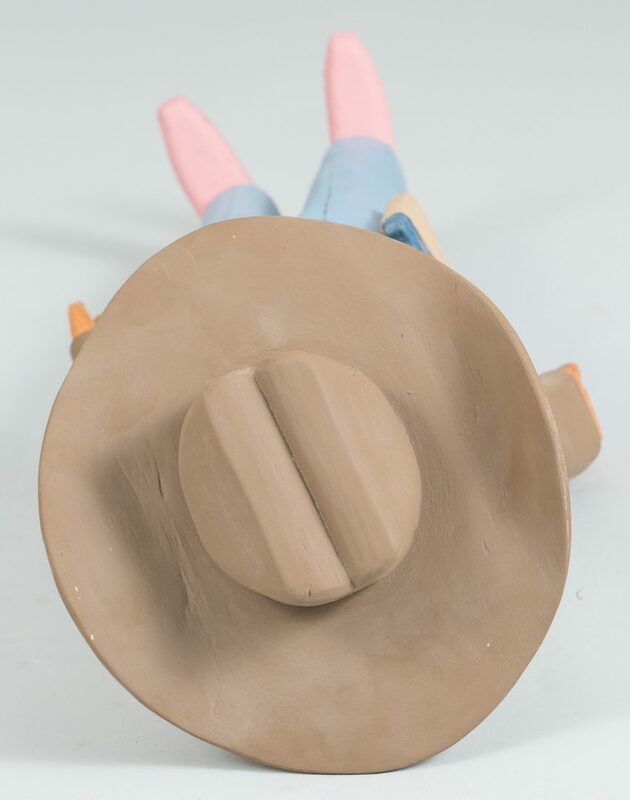 Areas of white paint, largest 1/2", right rim of hat and chest of carving. Scratches, largest 1/2", scattered on surface of carving. Vertical cracks believed to be original to carving.